Eleven years ago, I, Sue Davies from Travel For Life Now posted my first blog post. It was called Morocco Trip Report. 1,155 words. No subheadings. One photo. No keywords. Parts of it were notes—not even complete sentences. It was on blogger. I didn’t know if anyone even read it. Then I did a post on a different platform. It was called Tibet Flim. Yes, there was a typo in the title. Then there the posts with just photos. Don’t even ask me if I had captions, alt text or anything else. The answer is no. Blogging mistakes that beginner bloggers should avoid– I’ve done them all. 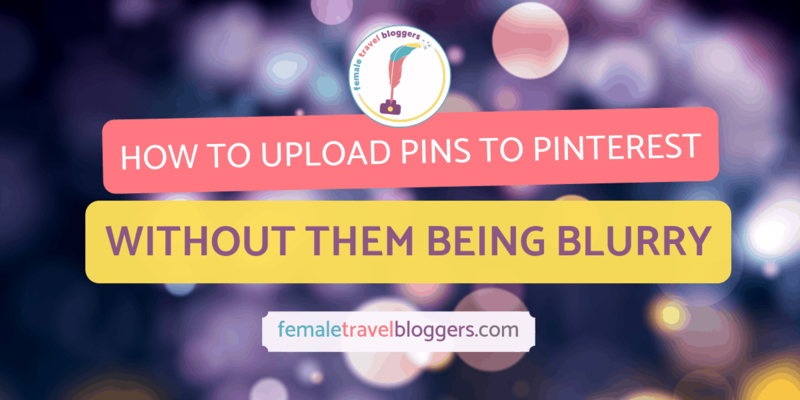 I’ll be sharing them without with tips from myself and Female Travel Bloggers on how to avoid them. In January of 2018, I decided to become more serious about blogging. I just returned from a trip to Antarctica and I was about to have more time on my hands. 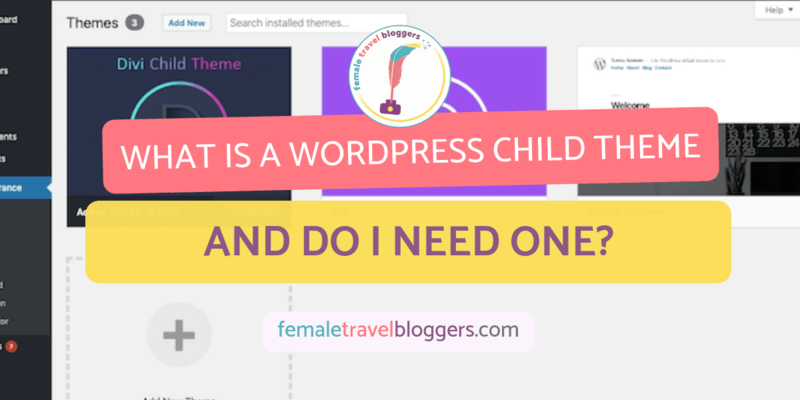 I settled on wordpress.com and was off to the races. I am one of those people who opens the box and starts putting things together without reading the instructions. Then I get stuck and, well, you can probably figure out what happens… I pull out the instructions and start reading. So it went with blogging. It’s been a challenging and fun journey. And, I make blogging mistakes constantly. Here are some of the top 6 mistakes beginner bloggers make and lessons we can learn from them and how to avoid them. Since we can all relate to movies, all blogging mistakes have a Hollywood movie lesson to accompany them, to help you relate as you go through your blogging journey. This post contains affiliate links that help support and maintain the FTB community. 1.2 Houston We have a Problem. Apollo 13. 1995. 1.3 Pay No Attention to the Man Behind the Curtain! Wizard of Oz. 1939. I know, I’m dating myself here. In the 1989 Field of Dreams Kevin Costner builds a baseball field and eventually, the 1919 Chicago White Sox show up. Well, assuming that if you write it, they will read it is one of the first blogging mistakes I made. It takes hard and consistent work to build your audience. And, you need to remember that what this about is building a relationship with real people. It’s not all bits and bytes, Search Engine Optimizer (SEO), Pinterest shares and swapping links. I am still working on finding and refining how I am creating my voice, my organic audience and my conversations with them. FTB recommend reading this guest post by Girl Astray on how to write for your readers and retain a strong loyal readership. We would like to remind you that one of Google’s first principles is to write good content over anything else. Write about areas you are an expert in and can build an authority. Houston We have a Problem. Apollo 13. 1995. There are many technical aspects to blogging. Most of them are beyond me. I started on wordpress.com and then decided to move my blog to wordpress.org to a self-hosted platform. It did not go well. It took most of a weekend and many photos and other things did not port over. The site went down. One lesson I learned is that paying for some support (if you can afford it) is worth it. If you can’t afford it, ask a lot of questions. FTB has many more experienced bloggers that are very generous in sharing their tips and helped me fix some of the blogging mistakes that I made. 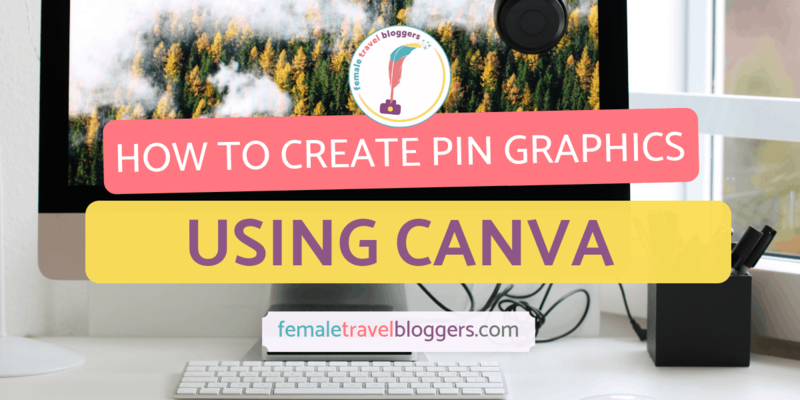 There are also numerous Pinterest posts and blogs that you can follow to learn more. When it comes to the technical side of things FTB recommends using Site Ground as your host. Their tech support and customer service knock it out of the park. They are often there to hold your hand every step of the way when you switch to a self hosted platform using them as your host. We also recommend checking out FTB’s sell it Sunday album to hire a fellow Female Travel Blogger to offer you tech support and help. Pay No Attention to the Man Behind the Curtain! Wizard of Oz. 1939. One of my all-time favorite movies. There is so much behind the curtain in regards to building a successful blog. Learning SEO is a challenge, and particularly hard to do when you are just starting out. I recently had my highest ranking post at 15, the top 10 ranking is still eluding me. At first, I just picked keywords that made sense: “Free in NYC” or “Sri Lanka.” I didn’t know about long tail keywords, how to find less competitive words and the tools that people used to find them. FTB recommends using Keysearch, one of the most popular tools for bloggers to resarch and understand keywords. 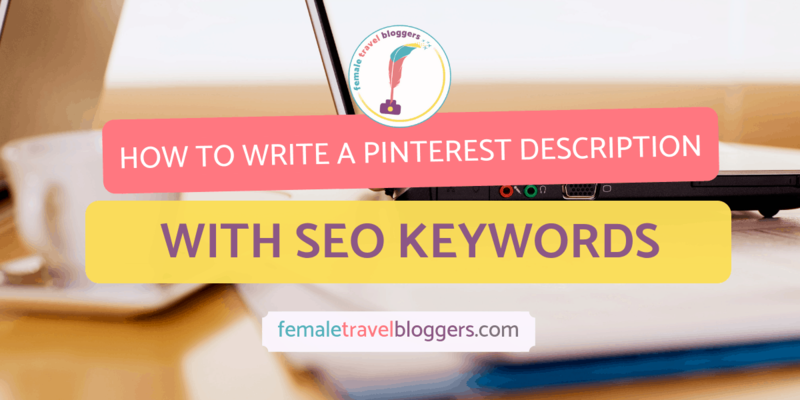 This tool will help you find what keywords you can rank for and alternative sub keywords and phrases to naturally write into your blog post. Additionally if you have not done so yet, make sure your blog is indexed on search console and use their search analtics to see what you are ranking for and how you can do better. When I first started blogging, I did not create a hierarchical set of categories and tags. Then, I read that this was a blogging mistake. I tried to fix it by deleting some categories. I then I read that I could take the date out of my URLs. So I did. Since I hadn’t read the instructions, I did not know that is would impact on my pins and links. About a month later, was poking around and discovered that I had about 70 404 errors on my blog. I barely had 70 posts so how could I have that many 404s? Well, I had never set up redirects when I changed the URL format. This was a blogging mistake that had a big impact on my rankings and search engine results. A common mistake that new bloggers make is that we think we are going to make money blogging. I did not realize how much work needs to go into building a blog voice and audience in order to make money. Fortunately, I have a long-term plan so I was okay with that blogging mistake. But, I didn’t have a budget for expenses for my blog. I have ended up spending much more money than I expected: Bluehost, WordPress, Keysearch, Tailwind, and more. It adds up. To avoid this mistake it is best to have a budget for expenses and understand that in the beginning, you might be putting in more money than you are making if you are serious about growing your blog and making money down the road. Dorrie says “Just keep swimming” to Nemo when Nemo is down. Actually, she sings it and she gets Nemo to start swimming again. One of the biggest blogging mistakes that I made was underestimating how much writing I would be doing. I have lots of notes from trips that I am excited about writing up. I have written professionally in all of my jobs and I teach writing for nonprofits at a University. But, feeding a blog is ongoing. If you want to build your audience, you need to write and post regularly. I had tried to do twice a week, but often I post only once. And, you have to keep going no matter what. Just like Nemo. What is your biggest blogging mistake and what have you done to avoid it? Let us know in the comments! Sue Davies has been to 42 countries plus Antarctica. Her partner in life and travel, Regina Ang, is a native of Singapore. Their travel blog www.travelforlifenow.com covers temples, wildlife, culture and having affordable off-the-beaten-path adventures. Her favorite experiences include kayaking in Antarctica, chasing the Northern Lights in Norway and camping in the Sahara Desert. You can follow her on social media on Facebook, Twitter, Instagram, and Pinterest. hahaha I can totally relate to “houston we have a problem.” It’s not that I’m incapable of learning about the technical side of blogging, it’s more like…I hate it and it never feels like anything but a chore. To the point that I will get so discouraged about a minor technical issue that I’ll then proceed to abandon my blog for two months. Totally agree that support is worth it! Everyone has their interests. That’s the great thing about the world. There is always someone who enjoys doing the very task you hate. Great post and very funny to read! I started my blog at the end of March this year, but only learned about SEO around June. It’s still a bit overwhelming, but I will just keep swimming :). I totally agree with all of these! The one that rings truest to my experience is the whole budgeting thing – it can be costly to be a blogger and that’s something not a lot of people realize. The perception is that you can just set up a website and magically start making passive income or get free stuff – and that is straight-up not true. Assuming (if you’re not blogging full-time) that you’ll be in the red with blog income for at least the first year is wise. Yes! You’re so right. It is not as easy or as affordable as people think it is. I avoided quite a bit of these, because I’m the opposite type – I like to scan the ground before I start something! And even then, I still underestimated the amount of knowledge I had to acquire to sustain my blog! I also discovered that just a single (BUT slow travel/epic) trip in a year will yield quite enough material to feed the blog – still chugging along to clear my backlog from underestimating that! That’s a great point Teja. One trip can give you quite a bit of material, but writing that content can be time consuming! I love the creative way you’ve linked each blogger problem to a film reference – neat idea! I have made so many of these mistakes. My whole first year of blogging was pretty much “if you write it, they will read it.” It wasn’t until about 13-14 months in that I realized that is a foolish strategy. SEO still continues to mystify me despite various ebooks and courses I’ve purchased. Maybe one day I’ll get it all right! Yes! That’s something a lot of bloggers think. Great job working on SEO. It will take practice and research but it will all be worth it. Very informative and helpful as always… it’s good to know we are getting into and that it wont always be an easy ride! I think its sugar coated quite a lot in the media but I’m trying to be realistic also! You’re so right. It usually is sugar coated, but that’s not fair! We want to make sure everyone knows that it’s hard work, but it’s WORTH it! Luckily I started creating a budget for my blogging expenses so that I could get Tailwind and Key Word tools. However, I guess I’m getting ready to fasten my seatbelt. Because I was completely unaware of the need for hierarchical categories and tags. Time to get to work! That is a hard project, make sure you grab lots of wine and do a little at a time. You’ll get there. haha, right? Blogging is such hard work regardless if it is for hobby or a business and there are so many ways you can go wrong. Informative post indeed! Yeah, you mentioned the mistakes are we need to avoid, though most of the beginner’s don’t get to know they are making these mistakes till some time has passed! though never too late to start, but that is essential for anyone who wants to pursue blogging as a profession for sure. Very good article particularly for a beginner like me, will surely help me in better writing in future. Keep posting these type of interesting articles.This post is very helpful.I have been examinating out some of your articles and it’s pretty clever stuff.I need to thank you for this wonderful Article and aslo Thanks for this valuable information and all the guidelines you provided. We are so happy you found this information useful as a beginner blogger. Thank you!!!! These are such great tips for new bloggers! I’m new to the blogging world and I’m so similar to you. I just start and then read instructions later and then wish I read more about the “how to’s” before I started so I could save myself time! For example, I didn’t even know about keywords until recently and now I’ll be going back to my old posts to add some! 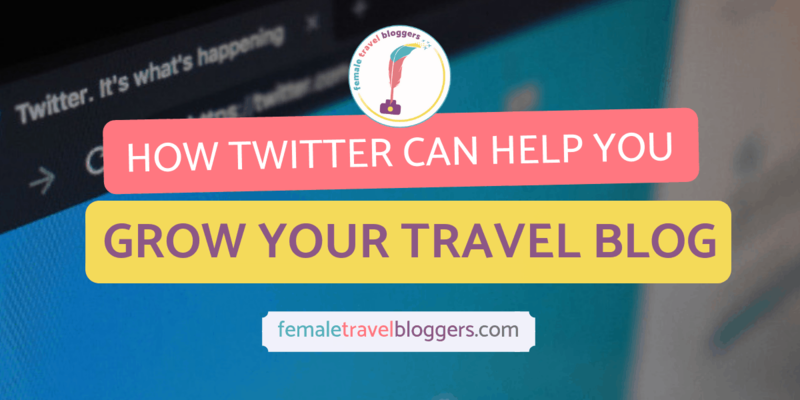 Glad to know femaletravelbloggers was helpful to you because it’s definitely been helping me too! Yay we love that FTB had been helping both of you. That is great you are starting to go back and use keywords! Make sure you set up Google Search Console to help you see what keywords people are already using to find your content! Reading this post was just like looking in the mirror. Ouch! A painful reminder of my own newbie blogging mistakes. Perhaps, just keep swimming hit the most sensitive spot. I can totally relate to that: surely I was ready to write. After all, that’s what blogging is about, right? Frankly, I underestimated the amount of writing involved. Moreover, the necessity of writing no matter what – not in the mood, not feeling well, have to fly to the other side of the world are not valid excuses. That was the most memorable learning curve from my beginners years of blogging. I know, we do so much writing as travel bloggers, it really is mind-blowing. So, let’s keep blogging/swimming! These were really great tips. As a newer blogger, I have tried to spend a good amount of time reading these types of post to ensure I am avoiding potential pitfalls. The tip about indexing on google search console and not thinking that you will make money immediately were particularly insightful/ helpful. I had not heard about indexing on google search console so that was a refreshing tip. Also it was nice to read a transparent post admitting getting a profitable blog takes time and does not come easily. We have an entire post on Google Search Console, which you might find helpful to get you set up and ensuring your indexing is going according to plan. Good luck with the start of your blogging career! Haha, guilty at all charges! Or at least at the time, when I started. I think this is a really helpful list to show how to do blogging and that it is not just writing a post every week or so. I’m having a feeling that even someone advanced I still make some mistakes, but it is nice to have a list to see that what I need to think about next time I will write something. We all make mistakes at the beginning of blogging, so it helps to have tips on how to avoid them!